Netherlands: Successful Production Test at Trias Westland Geothermal Project - Good news from the Trias Westland geothermal project: a successful production test of the second well and a subsidy for a second doublet granted! Djibouti: Drilling at Fiale Geothermal Power Project to Start Next Month - GRC Board Member Dan Hoyer provides an update from the field. United Kingdom: Important Debate on Geothermal Energy in the UK - A debate took place in Westminster Hall on 19 June 2018 from 2.30-4pm on Potential for Geothermal Energy Resources in the UK. The debate was opened by Helen Goodman MP. Costa Rica: Inter-American Development Bank Loan to help Geothermal Energy Projects- Some of the projects that will receive financing include the Geothermal Plant Las Pailas II; the construction of Geothermal Plants Borinquen I and Borinquen II in Liberia. 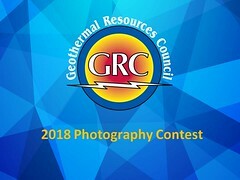 Europe: 2800 MW of Geothermal Electricity Capacity in 2017 - Report - The European Geothermal Energy Council (EGEC) Geothermal Market Report confirms the trend towards the steady growth observed in recent years, but also notes the need for greater recognition in order to enable the full deployment of geothermal energy in Europe. Europe: 50 Million Euros to Fund Nine Geothermal Projects - European Research Area (ERA) NET Cofund has selected nine high quality trans-national projects on geothermal energy for funding. Denmark: A New Business Model to Deliver Geothermal Heat to Danish Homes- Geothermal energy is a renewable and currently untapped energy source with the potential to cover approx. 30% of Denmark’s energy supply for district heating. France: 71 Degree Geothermal Waters from 1,800 Meters Depth Heat Paris Suburb - Put into service last winter, the network can already provide 124 GWh of heat per year, enough for 12,000 homes. Hot water is drawn from the basement of the two towns at a depth of 1,800 meters! At this level, its temperature reaches 71°C. Ethiopia: More Funding for 10 MW Tendaho Geothermal Power Project - The financing will enable to complete the drilling activities planned as part of the geothermal exploration and development effort in the Afar region. Italy: Geothermal Energy Loses a Pioneer - Ruggero Bertani - The international community mourns the loss of Ruggero Bertani, a most influential individual, who played a remarkable and incredibly important role for the global geothermal energy industry through his work at Enel Green Power, EGEC and at the International Geothermal Association (IGA). USA: New Zealand to Advise DOE on Geothermal Energy Technologies - The U.S. Department of Energy (DOE) has announced an agreement with New Zealand’s Ministry of Business, Innovation and Employment (MBIE) to collaborate on the advancement of geothermal technologies.